Sometimes it seems like every day there is a new must-have tool to help you run your business. Deciding which ones will be relevant for your needs can be a huge time waster – watching demos, testing them out, and creating accounts that you might later decide not to even use. Because of this, we’ve compiled some of the best free marketing tools to help you stay organized in every aspect of your business. Rescue Time, a must-have app for Neil Patel, securely runs in the background of your computer and keeps track of your daily habits so you can focus on being more productive. If you’re someone who struggles with time management and staying on track with your to-do’s, then I suggest giving todolist a try. The app allows you to take your to-do list everywhere, even offline, across 10 different platforms. Collaborate with other users who share your task and stay distraction-free with their simplistic, user-friendly design. Wunderlist is another time and project management app that connect with all major devices. Users can set reminders, collaborate and assign to-do’s, share lists, add content from the web, print their information, and more. Canva is full of pre-made templates for any design project you might have, such as creating Facebook and Pinterest posts, blog cover photos and more. There are tons of great free options for images and clip art; but if you want something different, there are many more options to choose from for only $1. The best part about Canva is that it’s really easy to use and create great-looking content – even for non-designers! HubSpot’s Website Grader is a great way to get an overview of how your website stacks up. Simply enter your website’s domain, and the grader will show you everything from how your website performs on mobile and page-load times, to your SEO and security score. Even if you have already checked out it out, I recommend running the test every couple of months. It’s always good to make sure there aren’t any surprises that may be hurting your business. Hotjar is an all-in-one platform designed to help you better understand how your customers are interacting with your website. View a heatmap of your website, watch how real users are navigating your content, find your biggest opportunities for improving conversions, and much more. The basic package is free and great for a startup. Sometimes coming up with a name or a topic for your content is the hardest part. 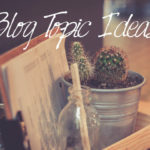 HubSpot’s Blog Topic Generator makes the process a little easier. Just enter the word relating to what you want to write about, such as “content marketing,” and it will generate 5 results. User Tip: The algorithm might generate a few odd-sounding titles, so I suggest being creative about the words you input, and try multiple options to get the best results. In my experience, the best ideas always come at the worst of times. With Evernote, you can finally say goodbye to scattered notes in random apps on your phone and computer. It’s simple to use and record your thoughts; and the greatest part is that your content is accessible from anywhere! Byword is a writing platform exclusively for Apple users with a sleek, simple design. 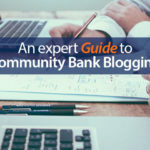 The new 2.0 version allows users to directly publish their blog posts to WordPress, Tumblr, Blogger, Scriptogram blogs and Evernote notebooks. Hemingway is a great tool for writers who don’t have an editor to check their work. You can edit or write directly on the website, and it gives you helpful hints and suggestions to make your article more readable. Problem sentences are color-coded, and words are highlighted in different colors to show passive voice, and suggestions for word changes. Buffer is one of the most widely-known platforms for social publishing. Their free account allows you to connect 1 account per social network. Buffer helps you schedule content at the best times to be seen, has a simple interface for users to curate posts for each network, and easily lets users share content found across the web in realtime. Hootsuite is another social media management software that connects with over 80 social media platforms – even YouTube. Some of their other features include social media monitoring, analytics, team collaboration, as well as an emphasis on keeping your account secure. 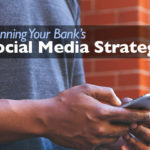 Their free account allows you to connect 3 social profiles, and includes message scheduling and basic analytics. Followerwonk is an app by Moz that gives you a more in-depth look at your social media analytics. Their free account allows you to connect one Twitter account, and some of the features include showing when users are active, their location, and social authority ranking. Boomerang connects with your Gmail account, and gives you the option to schedule emails and set reminders. Some of the reminders include archiving emails for a period of time and reminding you to respond to an email. It also integrates with Android and Mobile for writing emails on-the-go. MeetingMogul is an app that helps to keep you updated and organized with an automatically-synced list of your upcoming calls and meetings. Some features include one-touch conference calls, collaborative notes sharing, notes recording and call alerts. Teamwork is a cloud productivity software with three different parts: Teamwork Projects, Teamwork Desk and Teamwork Chat. Teamwork Projects has a simple and clean interface that allows you to collaborate with other people on a project and get updates in realtime. Teamwork Desk is a customer support software that helps you manage customer inquiries by assigning them to the proper employee, setting priority levels, and communicating with your team and customers all in one place. Correspondence with your customers will be sent to look like regular email, instead of an automated support ticket, and every time you complete a ticket a customer happiness survey will be sent. In addition, as a project manager, you can track your employees performance and response time. Teamwork Chat, although pretty straight-forward in the name, makes chatting about any project easily accessible from any device, and it’s completely free whether you’re a big or small team. Slack is a messaging app for teams that strives to make “working lives simpler, more pleasant, and more productive.” Their free account can be used for teams of all sizes, and includes the ability to search and browse most recent messages, includes 10 service integrations, has free native apps for iOS, Android, Mac & Windows Desktop, inlcudes multi-team support and 1:1 calls.